Do you go chasing after some things in your life, so desperately? You somehow want to marry that pretty girl. You want to move heaven and earth and marry that boy. You would do anything to emigrate to that particular country, perhaps. You want that job in that top corporate company or the government by hook or by crook. When your desire for things gets more than your desire for God, it can be detrimental to your spiritual life. Sometimes, you may come very close to possessing them, only to miss those things by a whisker. At no point in life, as a believer, should you desire anything/anyone more than God. We must be able to truthfully say these lines with the Psalmist: One thing I ask from the LORD, this only do I seek: that I may dwell in the house of the LORD all the days of my life, to gaze on the beauty of the LORD and to seek him in his temple (Psalm 27:4). The one thing we ever need in this one life we have is God himself! We need God’s presence more than his presents! Moses was like the Psalmist in this regard for his said, "If your Presence does not go with us, do not send us up from here” (Ex. 33:15). Let’s get desperate for God himself more than the things/blessing he may give us! He is enough! As Philip put it in-effect: God himself is enough for us (John 14:8). As Job showed by example: we must love God for who God is, not for what he can give us; we must keep loving God even if the things he graciously gave us are taken away! 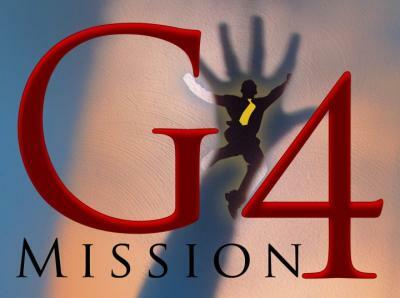 (Duke Jeyaraj is the founder of Grabbing the Google Gen from Gehenna Mission, the G4 Mission. This is a reader-supported Indian ministry. Find out more at www.dukev.org). Would Jesus toss away the Cross? Would he, 100% God as well as 100% human, allow the natural human tendency to avoid pain, skip the Cross and choose to be his own boss? Or would he surrender to His Father's Will and prepare to die for each one, including the New Zealand cricketer Taylor, whose first name is Ross? And a model named Kate Moss and India's Ramadoss? And as he surrendered to His Father's Will to go from Gethsamene to Golgotha Hill, Jesus experienced a sweat and blood loss! That each one of us is a sinner headed to hell is a fact over which we can't, over which, gloss! A cleansing from His blood after repentance is the only thing which will remove all our sins and dross! Abandon today that cunning-dirty-deceiver's Satan's camp and by faith into the joy-giving Jesus' camp, right-now, criss-cross!